Born in Anaheim, California but moved to Colorado in 2008 at the age of 7, Richard Hubbard, a junior at CT this year, is apart of journalism as well as a varsity player on CT Boys golf team. He’s lived in Colorado for over 10 years. Even though his main priority and ambition is golf, he always enjoys playing video games (including fortnite) as well as playing other sports like baseball, basketball and soccer with his friends. 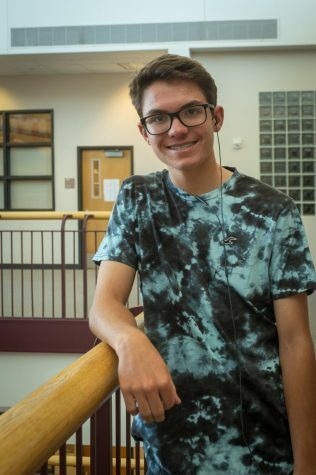 As a way to find to help him succeed in school and in life outside of school, he listens to music a lot as it’s one of his favorite things to do besides golf. The reason he is apart of journalism is because he has always been really good at remembering stats from sporting events and wants to be a sports broadcaster when he is older.